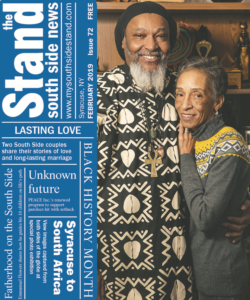 In this issue, meet two couples defying the stereotype that black love — especially married love — doesn’t last. View a list of local Black History Month events and take a moment to reflect on historic black figures in Reggie Seigler’s “The Friendly Five” column. Also, hear from project collaborators of the soon-to-open Freedom Commons who explain the purpose of these new housing units. Learn why the case manager for PEACE Inc.’s Family Reunification Grant left after two months and much more. Last year at this time, The Stand highlighted a journalism exchange to South Africa by a group of Newhouse professors and students, local high school media students and our music columnist and board member, Seigler. The trip sparked a new partnership with a local paper there as well. Following The Stand’s model, staff at Grocott’s Mail hosted a Photo Walk through its community the week after The Stand’s annual July walk. 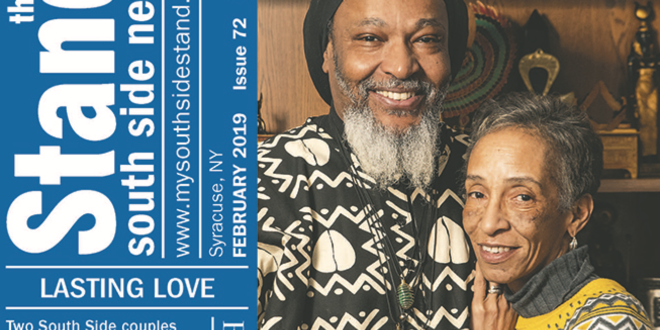 Images from both walks are shared on Page 16, along with details on a South Africa to Syracuse Symposium organized by Ken Harper, one of the professors who made the overseas journey last year. 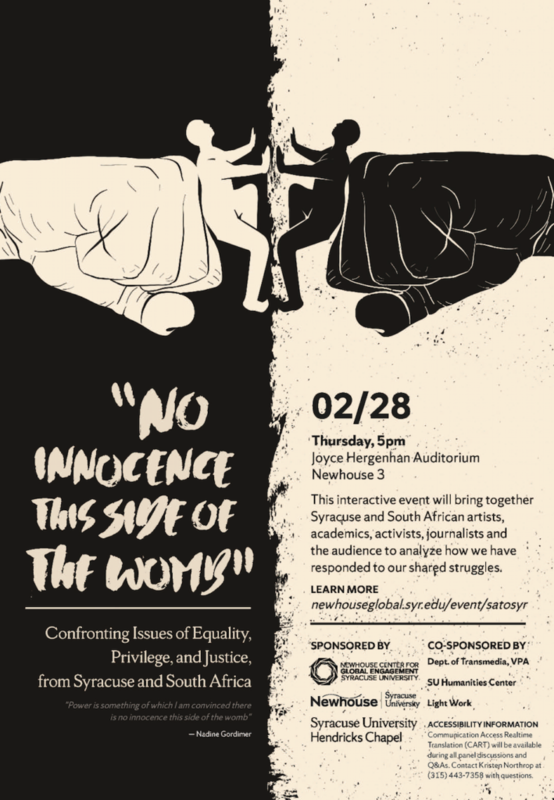 This event will confront issues of equality, privilege and justice from both continents’ perspectives and is open to all in the community. Rather than being a typical panel discussion, these interactive sessions will allow guests to participate in open dialogue with each other and the organizers. Our new intern, Nabiha Asim, a graduate student at Syracuse University’s S.I. Newhouse School of Public Communications, began this semester and looks forward to reporting on the community. She plans to focus on the future of the I-81 viaduct as her beat, keeping readers up-to-date on the latest news and diving deep to contribute an in-depth feature by May. 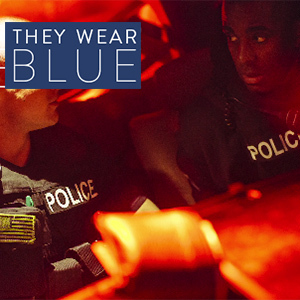 Keep visiting our homepage for more stories and upcoming community events.